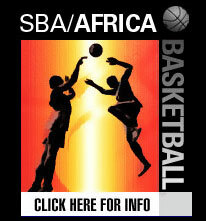 The SBA has produced countless events throughout the United States, South America, Europe, Asia, and Africa creating a number of basketball related sports properties consisting of events, exhibitions, international competitions, shows, and tours as well as a number of global basketball development and entertainment initiatives, continuing to further promote the authenticity surrounding the best professional basketball players in the world. The basketball enthusiasts and fans of all ages throughout the world simply love the exciting players and the SBA’s style of play which we call “The Show,” making us the “trailblazer” leading our industry, giving companies, organizations, and venues a valuable one of kind sports marketing vehicle to educate and entertain basketball fans and aspiring young athletes who have fallen in love with the sport of basketball in an interactive, fun, and creative atmosphere. The SBA offers a unique brand of basketball and entertainment, marketing and operating over 150 sports and entertainment events on 5 different continents in the world ranging from grassroots to the highest level corporate projects and functions implementing a number of marketing strategies to maximize the overall value of each event as well as initiating and directing multiple 10+ city/country tours managing five and six figure budgets. The SBA develops and executes several tours, shows, exhibition events, and clinics/expos throughout the calendar year. These tours and events will use the Show and Expo Basketainment platform and are produced both domestic (continental United States) and globally throughout the world. International - The SBA has introduced street basketball to several international markets and will continue to take its brand of basketball to additional international communities. With the explosion of street basketball over the past few years and its meteoric rise in popularity, street basketball has become one of the “hottest” entertainment products and the SBA offers more than anyone else in the street basketball industry does. The SBA is currently working with organizations in various parts of the world to develop and create tours and other events. These events will help introduce street basketball, as well as market and develop the sport of basketball to new markets around the world as well as be a tool for companies marketing products and brands internationally.